DeJuan Wheat Shoot-Out this Saturday! 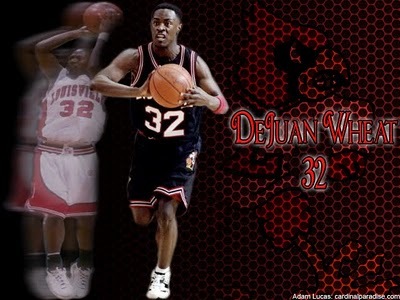 This Saturday, former UofL great DeJuan Wheat will be hosting a shoot-out for kids ages 6-16. 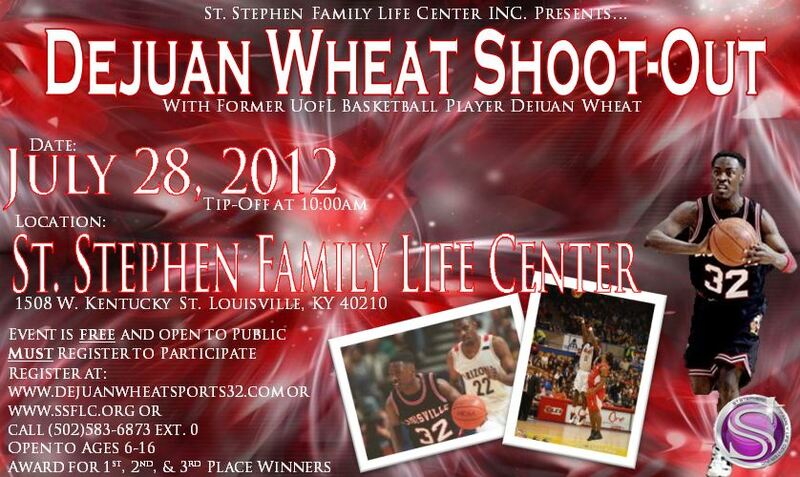 The event is free and open to the public, and will be held at St. Stephen Family Life Center on Kentucky St. For your kids to participate, they must be registered at www.dejuanwheatsports32.com or www.ssflc.org. Another option is to call (502) 583-6873 Ext 0. The first 100 kids to sign up will get to compete. Each kid will get 35 seconds to make as many shots as possible from about 8-10 spots on the floor. Each spot will be numbered accordingly for what that shot is worth. After each round, kids with the highest scores advance to the next round. Trophies will be awarded to the 1st, 2nd, and 3rd place finishers in each age group. The age groups are 6-8, 9-12, and 13-16.